I met Cory Doctorow once at a conference called Supernova in Washington DC back in the very early part of the ‘naughts. It was actually about technology policy which is the fascinating thing about Cory Doctorow, talented and successful writer; he’s also quite an effective public advocate for a number of progressive 21st Century causes, including privacy and copyright reform. He’s had an impressive public life. It’s the books though where he has been able to wrap his ideas around and through interesting narrative; probably still the best way to get through to majority of the world. I’ve read everything from him except his very latest which is Pirate Cinema. I just finished his collaboration with Charlie Stross titled The Rapture of the Nerds. I like Doctorow’s and Stross’ novels and while Rapture had some interesting elements in it, I thought it was a bit of a letdown for both of them. 1 + 1 = something just short of 2 here and certainly not more than 2. Down and Out in the Magic Kingdom. His last three are very focused on incorporating current ideas and a little less weird then the first three. For the Win explores China and massively multiplayer online games (MMO) (it had some superficial topical similarities to Neal Stephenson’s very recent book ReamDe); Makers explores an extrapolation of the democratization of design and manufacture in the 21st century (along with designer drugs and body modification) and Little Brother deals with the new surveillance society. I liked the flat out weirdness of Doctorow’s first third novel but I do think he’s moving in a great direction with his newer work and I continue to be a fan of the stories. Anyhow, this post is a good reminder for me to go find a copy of Pirate Cinema. March 2013 UPDATE: Finished Pirate Cinema. Quite good, even if the main character felt just a bit like a Mary Sue for an imagined young Cory Doctorow. 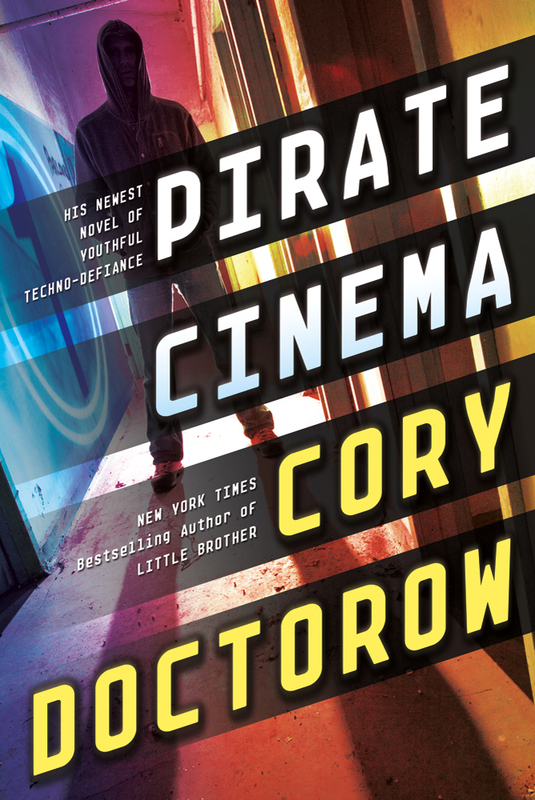 March 2013 UPDATE #2: Just finished reading Homeland, the sequel to Little Brother which is actually newer than Pirate Cinema (one of the benefits of blogging is sorting that kind of stuff out). Homeland, like it’s prequel Little Brother is discomfortable in its plausibility. It is not really set in the future so much as maybe next week. And its mix of technology, authoritarian government and corporate control alongside its young protagonists give it a lot of punch. I’d recommend both books, certainly for highschool and up, not 100 percent sure about middle school kids, I guess it depends on the kid and the parents. Reading Homeland was also entertaining for a long time Doctorow fan — you can read his books now with a Cory Bingo card — just put on it: coffee, Disneyland, chile peppers, linux, hacker, maker, and you’re bound to get a bingo while reading any of his books.